Whether you are a man looking for travel necessities or a girl looking for a gift for your boyfriend, this list of the 10 best travel accessories for men will save you time and trouble. As a travel junkie, I am always on the lookout for new travel gadgets. They help to make my journeys simpler and more joyful. I am not a big fan of packing random stuff in my suitcase. Space is at a premium so everything I pack needs to be essential. 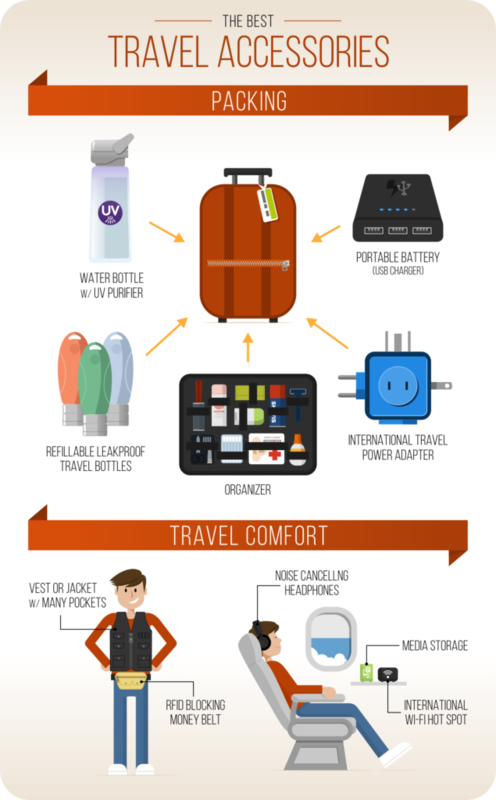 If that sounds like you, take a look at the following travel accessories for men. Please include attribution to EuroMenTravel.com with this graphic. Who can survive without a phone or a tablet while traveling? I personally can’t. I had always trouble with my phone’s battery. Being a bit outdated, I discovered the portable charger just a few months ago. Now I can confidently say, it is one of the must-have travel gadgets every man should have. Recharge your phone whenever and wherever you need it. The great news is you can charge 3 devices simultaneously. 22000 mAhr – Charge a typical iPhone 7 up to 8 times. Fast recharge from a 2.4A source. Can charge 3 devices at the same time. Organize your personal belongings inside your suitcase. Organize and store the gadgets, chargers and shaving and grooming products in one place. Although it is not the best option for heavy items, I do not regret investing in Grid-It Organizer. It is practical, efficient, and compact. I am just excited to let others know about this nifty way to avoid the mess in any suitcase. Woven elastic bands for organizing your small devices. Holds tools/devices flat – easy to pack. Ultraviolet (UV) light is a quick way to kill germs, viruses and parasites in water. This CamelBack product contains a battery powered UV light that provides around 75 clean bottles of water (750 ml/25 oz) on one charge. Germs and parasites are killed after approximately 60 seconds of UV exposure. The bottle lid contains the UV lamp for ease of use and compact size. Note that although this kills germs and parasites, the UV light does not remove dissolved solids such as lead, mercury, or arsenic. A Reverse Osmosis water filter would be needed to remove these solids. Ultraviolet light reduces bacteria (99.9999%), viruses (99.99%) and protozoa (99.9%). Rechargeable battery provides ~75 bottles per charge. Impact and Weather resistance lid with built-in UV light. 750ml purification in 60 seconds. For long trips, a good pair of headphones block out the travel sounds and flood your surroundings with the music you desire. Having tried a number of different noise-cancelling headphones, I’ve settled on the Bose noise-cancelling headphones. Without even streaming any music, the amount of background airline engine noise these block is amazing. I have a hard time sleeping on planes but these headphones definitely helped. The wireless option was my choice to reduce tangled wires but the wired version is slightly cheaper. Women are not the only ones who need tiny travel bottles for shampoo, conditioner, lotion or any other stuff stored in the bottles. After all, why pack those huge bottles when you can use tiny ones? It is not about the space saving, though. Silicone travel bottles are colorful, eco-friendly, FDA-approved, and BPA-free. Additionally, each bottle has pre-printed labels that you can switch to identify what is in the bottle. I usually use the color to identify the bottle. Leakproof Silicone Travel Bottles are perfect for men who need the essentials without the bulk. I had to throw a money belt in here. A money belt is a great way to keep your important items close to you and safe from pick-pockets. This one is my favorite pick. Breathable mesh back – you’ll love it on those hot, muggy days. 24 pockets! Yes, you read it right – 24 pockets. Pack up all your belongings in one swoop. Sounds too heavy? No worries. The vest has a great weight management system created to balance the weight load to prevent back and neck pains. Store smartphones, iPads, daily items, cameras, money and many other items without looking bulky and feeling weighed down. Regardless of how you store your essentials, no one will notice it. Best of all, the fabric is specifically made to be wrinkle-free making it perfect for travel. Teflon coated for stain and water resistance. A busy man must be able to recharge the devices that keep him connected to his business, family and friends. A versatile power adapter is an important tool in any traveler’s arsenal. A good power adapter converts any country’s power outlet to the voltage that your devices need. This adapter is so small it easily fits into any small crevice in your tightly packed luggage. Which cherished picture to delete?Why ask that question again? An active traveler gathers a lot of photos and videos on his journeys. Use a portable storage device to free up media space on your device while traveling. This device also acts as a wireless router for an internet connection. Simply plug the router into any internet connected ethernet connection. The wireless router can also be used along with the media storage or external SD card for streaming videos. One last benefit. It includes a battery for giving a quick charge for your phone. The SkyRoam Unlimited WiFi Global hotspot comes with 3 days of unlimited WiFi coverage in more than 100 countries. Additional days can be purchased for about 10 €/$10. SkyRoam coverage includes more than 100 countries in the Americas, Europe and Asia. No SIM configuration or entangling subscription is required. Just turn on, press Start, and connect. Coverage in 100+ countries including the Americas, Europe and Asia. EuroMenTravel readers like to stay on top of the latest travel accessories and we feel these 10 best travel accessories are worth investing in. They will help you travel easier, comfortably and improve your overall travel experience without breaking your bank. Plus, they make stylish gifts. 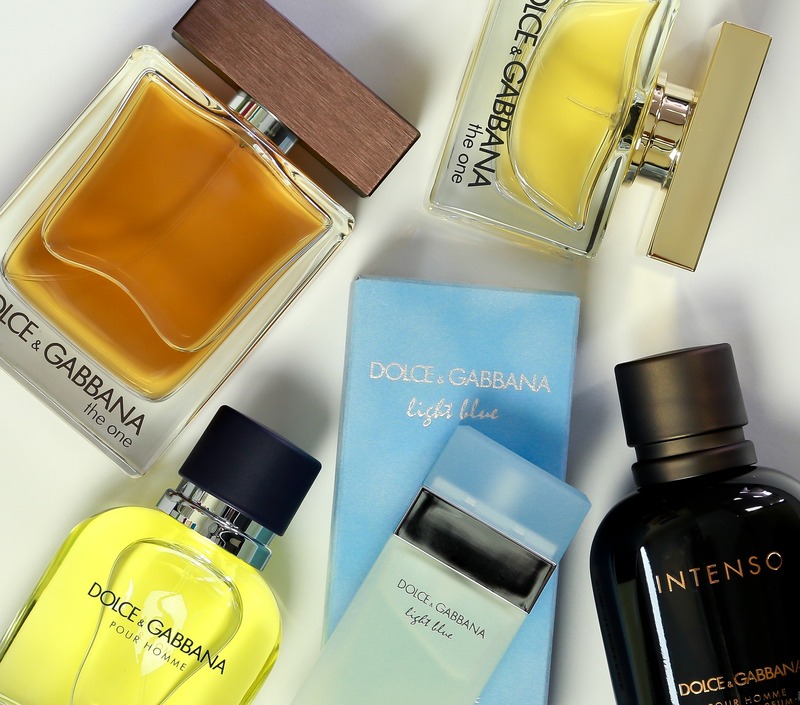 What are your must-haves for your next trip?